Additional 6 x 5l fuel canisters and 4 x 2l water canisters. This is a lovely example of the Varne-built GRP version of the classic Folkboat. Well equipped with aluminium spars, slab reefing main, furling headsail and powered by a small Dolphin 2-stroke inboard. She is ready for extensive cruising, with a very good inventory. She has a cockpit tent and winter cover along with a large inventory of cruising aids and luxuries. There is also a 4-wheel, braked trailer, which is available by separate negotiation. 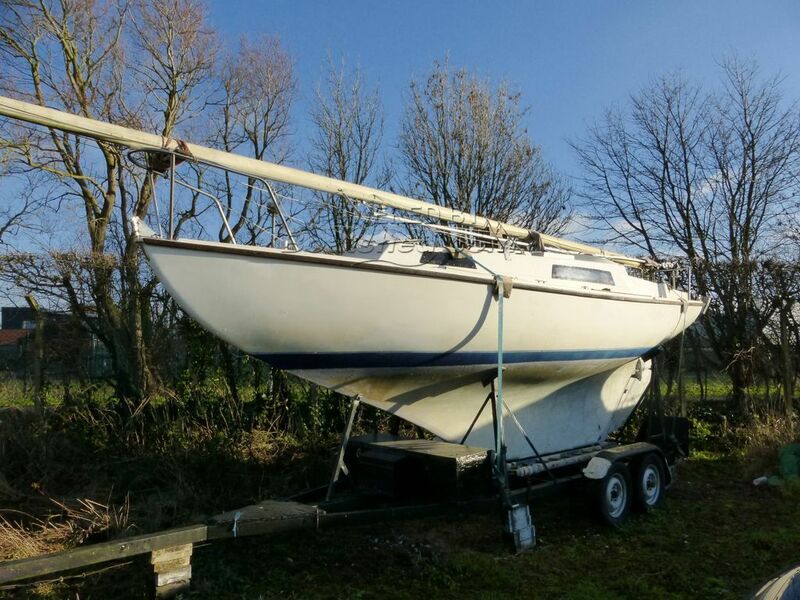 This Folkboat 26 Varne has been personally photographed and viewed by Paul Watson of Boatshed Yorkshire. Click here for contact details.